From New York Times bestselling author John Lescroart, a riveting standalone novel about the unexpected, shattering, and lethal consequences of a one-night stand on a seemingly happily married couple. Kate loves her life. At forty-four, she’s happily married to her kind husband, Ron, blessed with two wonderful children, and has a beautiful home in San Francisco. Everything changes, however, when she and Ron attend a dinner party and meet another couple, Peter and Jill. Kate and Peter only exchange a few pleasant words but that night, in bed with her husband, Kate is suddenly overcome with a burning desire for Peter. What begins as an innocent crush soon develops into a dangerous obsession and Kate’s fixation on Peter results in one intense, passionate encounter between the two. Confident that her life can now go back to normal, Kate never considers that Peter may not be so willing to move on. Not long after their affair, a masked man barges into the café Kate is sitting in with her best friend, firing an assault weapon indiscriminately into the crowd. This tragedy is the first in a series of horrifying events that will show Kate just how grave the consequences of one mistake can be. 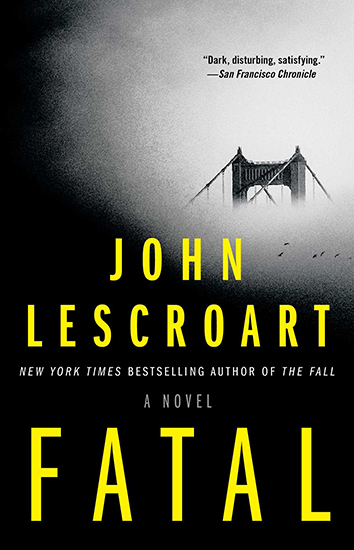 An explosive story of infidelity, danger, and moral ambiguity, John Lescroart’s latest thriller will excite and satisfy both his current and new fans. Sign up to receive occasional newsletters from John with all the latest news.